VFaces , cloud base face time attendance solution , advanced face recognition attendance biometric system enrolls the unique and permanent facial fine points of employees and records them in the database . Once the enrollment process is complete, you just need to look at the camera to verify your identity and the face recognition attendance system automatically marks your attendance on your behalf. Allows users to check in and check out just by using their face. 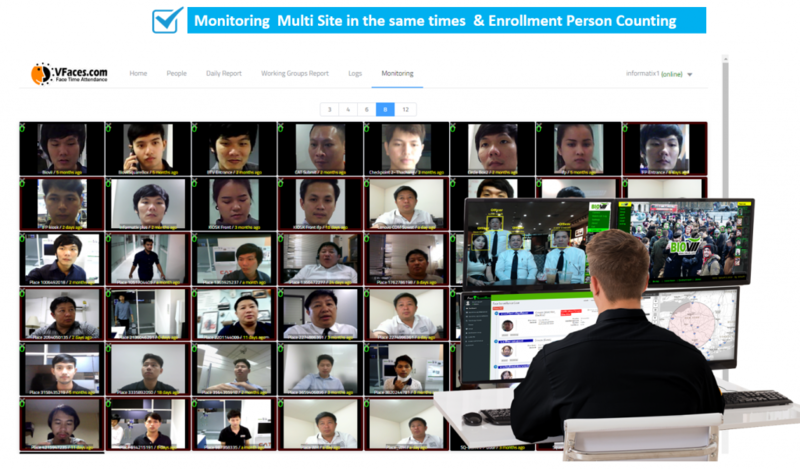 Safe and secure attendance system with face recognition is a solution for all attendance challenges. It enables easy storage and fully secured access to data anytime, anywhere on smartphone. 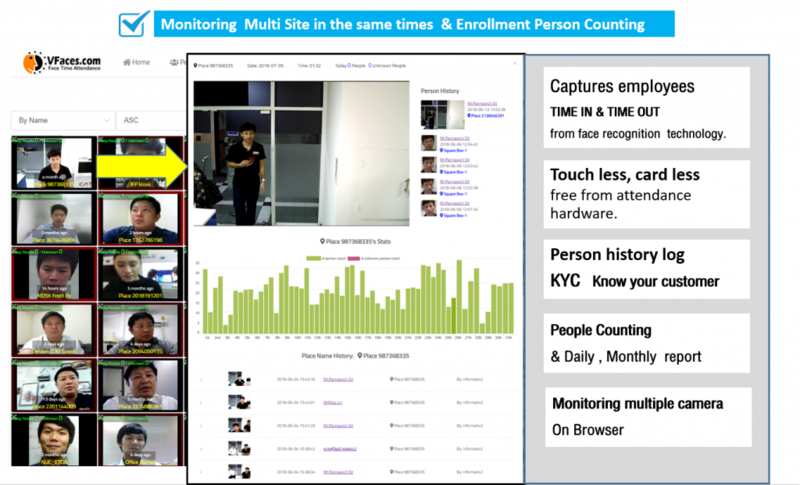 VFaces , Web-base innovative system for management-employee attendance ,captures employees TIME IN & TIME OUT from face recognition technology. It is touch less, card less for chemical ,construction industries ,hospital & where the fingerprint system may have some concerns. VFaces made you business efficiently utilize physical resources and reduce energy consumption in contract to traditional hardware-centric networking . It will be free from attendance hardware. Easy to use and there is no need to purchase expensive hardware. VFaces provide better constituent service , deploying solutions that support transparency ,efficient projects and less operational issues allow your employees to spend their time on other more useful activities that may offer a greater potential value to your business. If you have often found your employees trying to cheat on their time card, web based attendance tracking systems offer the ultimate solution to such time clock fraud. In the absence of an effective time clock system, such as Attend time and attendance devices, your employees might claim that they were at work at a specific time when they were actually away from work or not at all present at the job site. Statistics reveal that US businesses register losses worth over one hundred billion dollars every year due to buddy punching, employee abuse, time theft, and human error. Buddy Punching – Manual clocks run the risk of buddy punching, wherein one employee punches on behalf of another one, who might be absent or tardy at that time. Thus they are able to record attendance of absent employees or work hours, thus defrauding the employer. Buddy punching costs businesses hundreds of thousands of dollars every year. Number Manipulation – An employee may try to manipulate numbers on a legitimately punched time card using an ink that matches the color used by the time clock database. This is similar to time clock manipulation, wherein an employee accesses the time clock setup in order to fraudulently adjusting the time or punching their time card. Unsecured Computer – An unsecure computer is prone to time manipulation by employees punch in and out by logging into a computer. Here a web based time attendance clock can stop time theft as well as eliminate chances of human error and payroll mistakes. This will make your business cost efficient. Manual Time Recording – Many small businesses continue to keep track time using the manual writing system, which is most prone to time theft or fraud. An employee can easily manipulate manual time sheets and input the time as per their wish, without the fear of being caught. Or there could be errors due to bad handwriting.